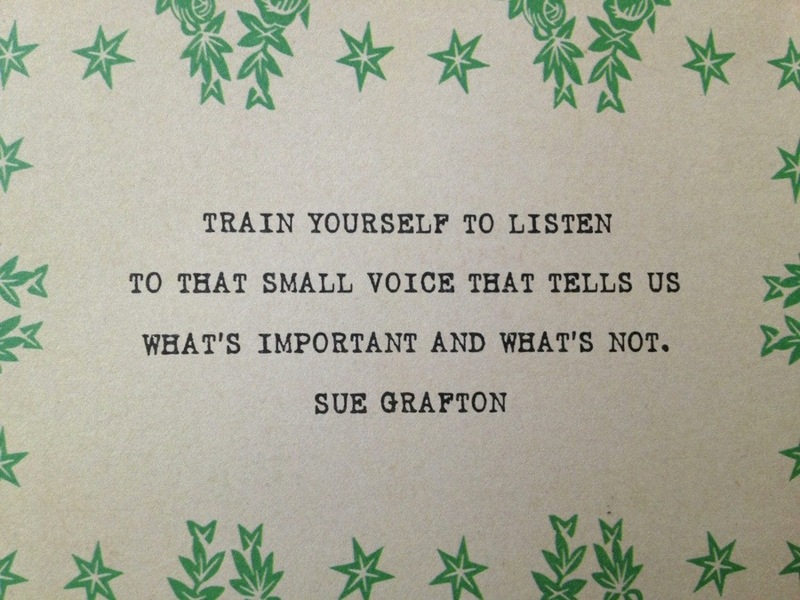 What’s important and what’s not–as the days seem to speed by, this thought/quote has even more impact. Note to self: let the unimportant, trivial stuff that does not matter fall to the wayside. Cheers to all the goods things that have meaning for all of us being the main focus! Quite a few years ago this Perrin Côtes du Rhône was a house wine at Le Pichet here in Seattle. It has been one of those wines that has stayed with us over time for its versatility and extraordinary value. The label has changed over the years, but luckily what is in the bottle has not. This is red house wine of the highest order. 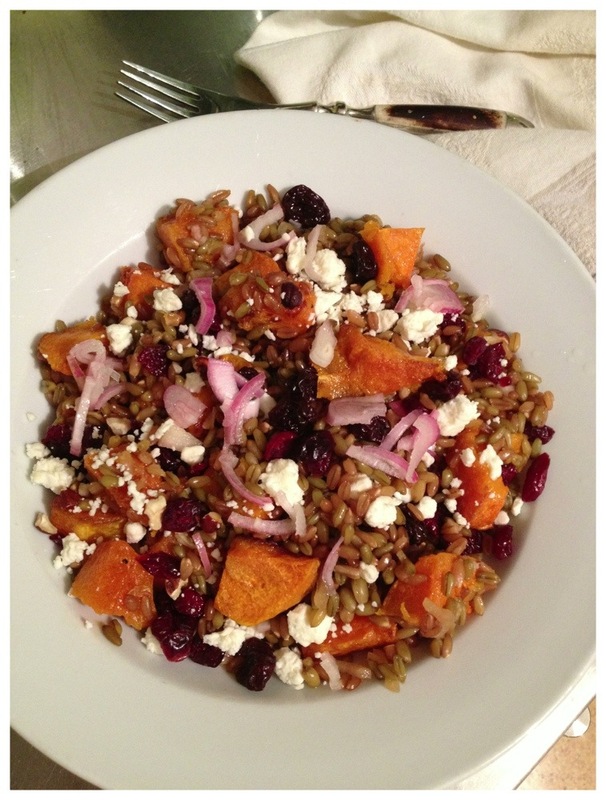 Perfect paired with many foods, great to serve at a party, and lovely to have solo when you are chatting with friends. This is also the bottle I reach for when recipes call for red wine to be added. 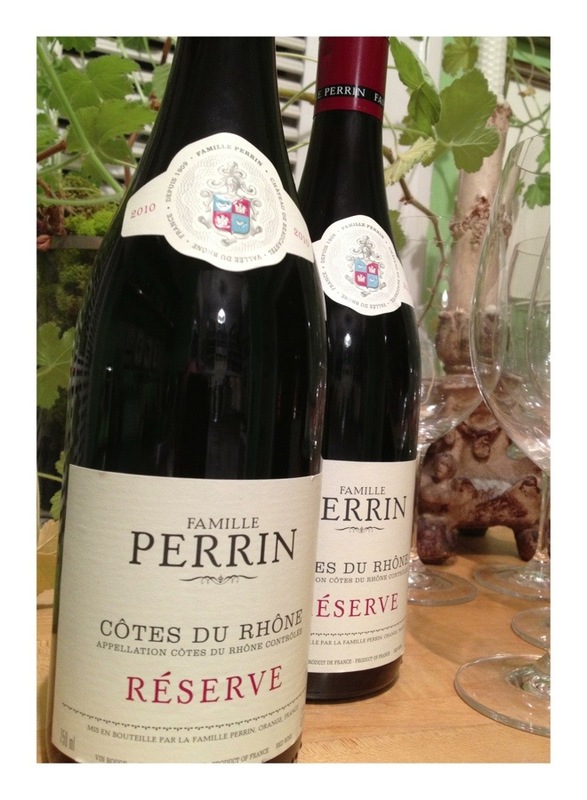 Good wine does not have to cost a bundle, and this Perrin Réserve Côtes du Rhône is proof of that. We re-do the front displays at both shops after the 15th of January, turning them into a lovefest of Valentine goodness. I like having the freshness of a new display, as well as giving Valentine’s Day its due. It just adds a happiness to the air. 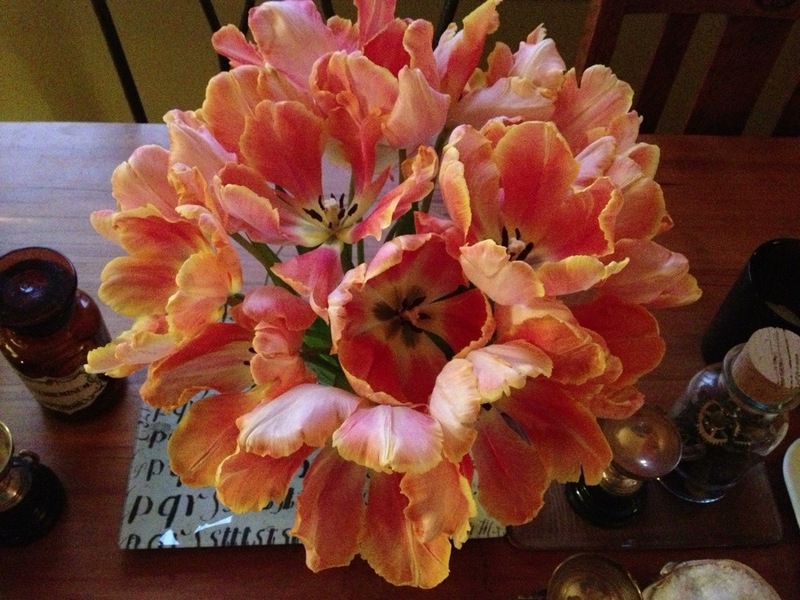 Reds, pinks–all the Valentine finery. And the cards. Oh my stars, we sell an incredible amount of Valentine cards in the next month. The baskets are overflowing with sweet cards–above is one of my all-time favorite. 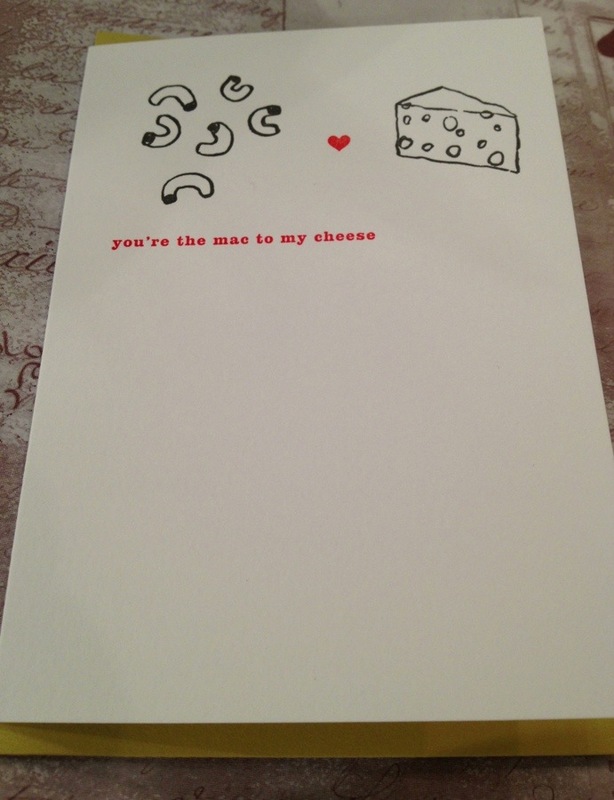 We actually carry this card year round, as it is not only applicable as a Valentine. Even though Christmas was just over a month ago, it is always fun to look forward to the next holiday. I have written about the goodness of Meyer Lemons before, but seeing them again at the Market and the grocery store in plentiful displays is prompting me to give them another shout-out. They are so good! 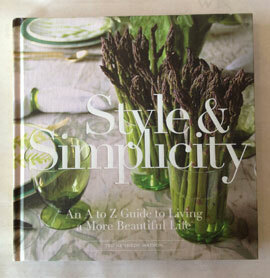 They have such a sweetness to them, the Meyer lemon is the perfect thing to cook a myriad of things with. 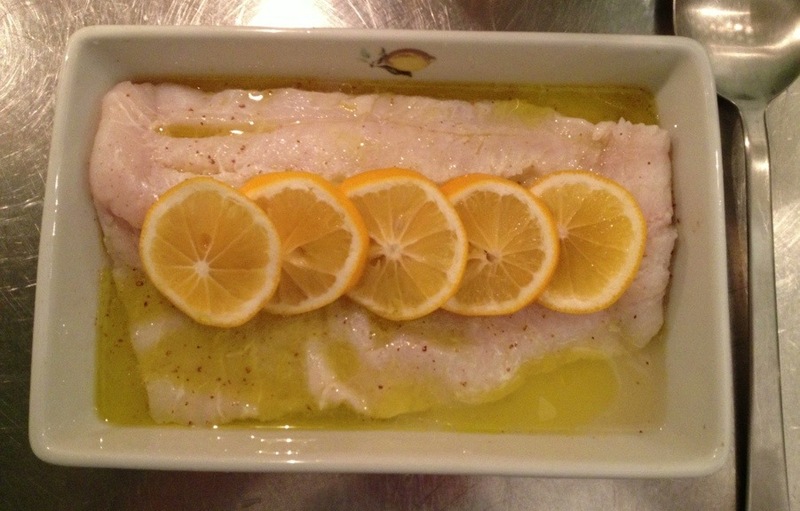 Last night I baked/poached a piece of cod in a shallow bath of white wine, extra virgin olive oil, Meyer lemon juice, salt & pepper. The flavor of the lemon being the prevailing ever so slight, but ever so tasty note to the fish. 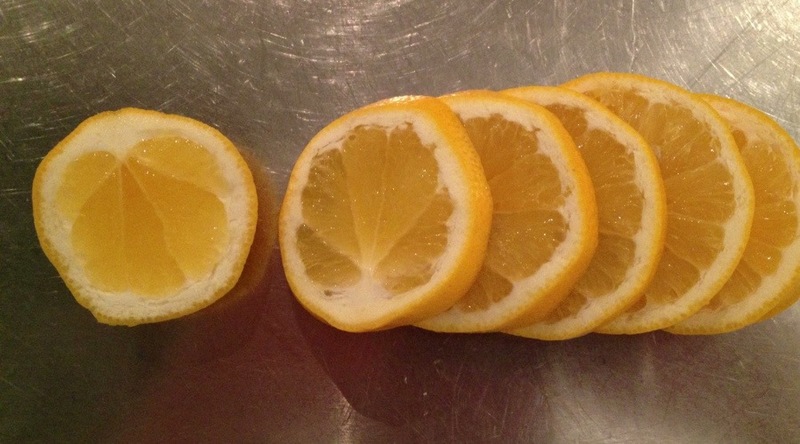 I also sliced a Meyer lemon and put the slices on top of the fish, to really infuse from both the top and the bottom. If you serve the cod with rice, you can spoon over some of the liquid as a bit of sauce. Super easy, super satisfying and lemony. 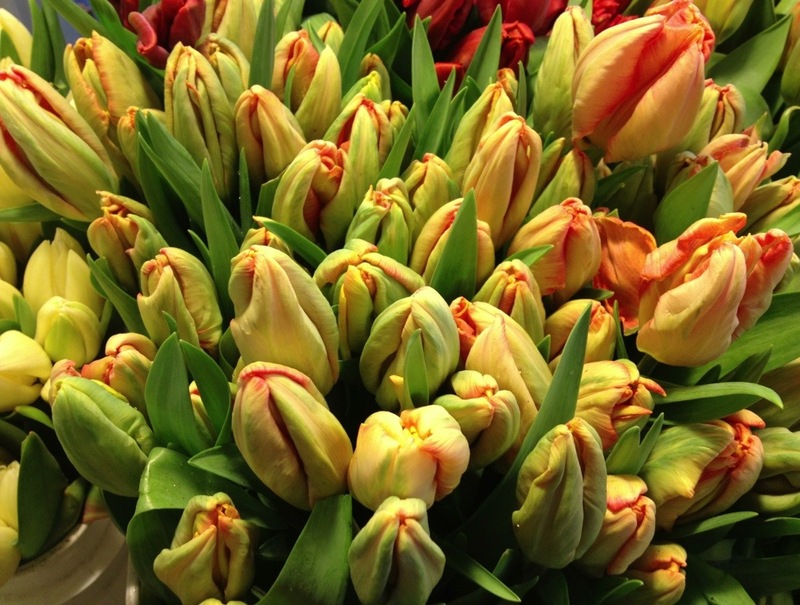 A lovely, lovely Saturday to all of you! There is just some quality about old paper that I find magical. We use pages from old books that are falling apart in displays at the shops all of the time. I think of it a bit like recycling, as the pages get to be enjoyed by all, instead of falling out of an unread book. 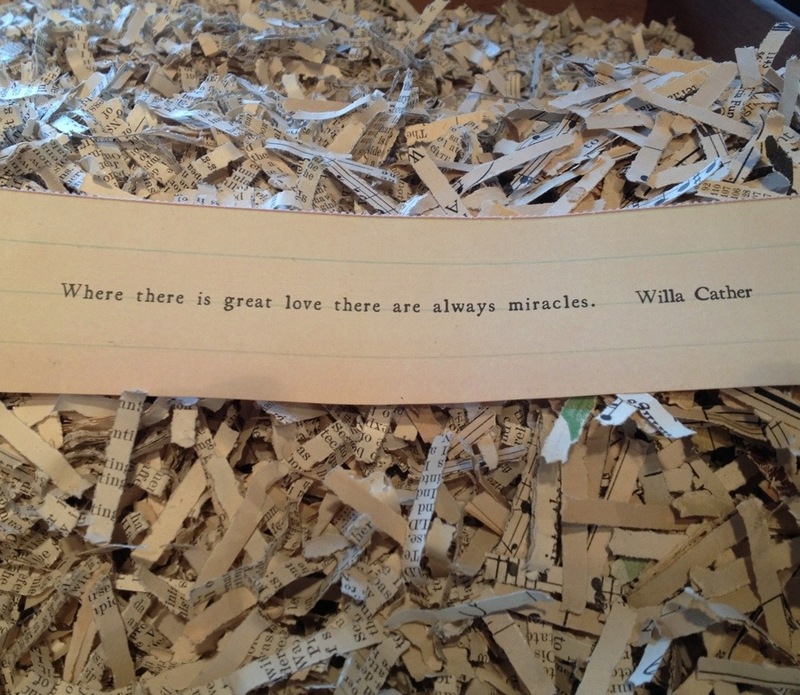 The beauty of the words on yellowed old paper so lovely. 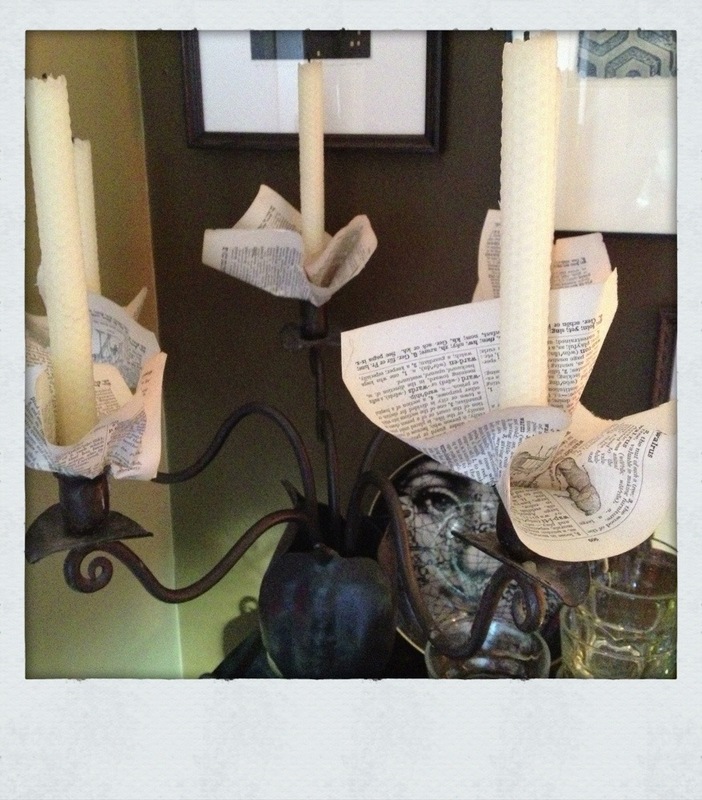 Awhile back I was in search of spiffy-ing up a few candelabra at home. I was also having challenges getting the candles to fit. 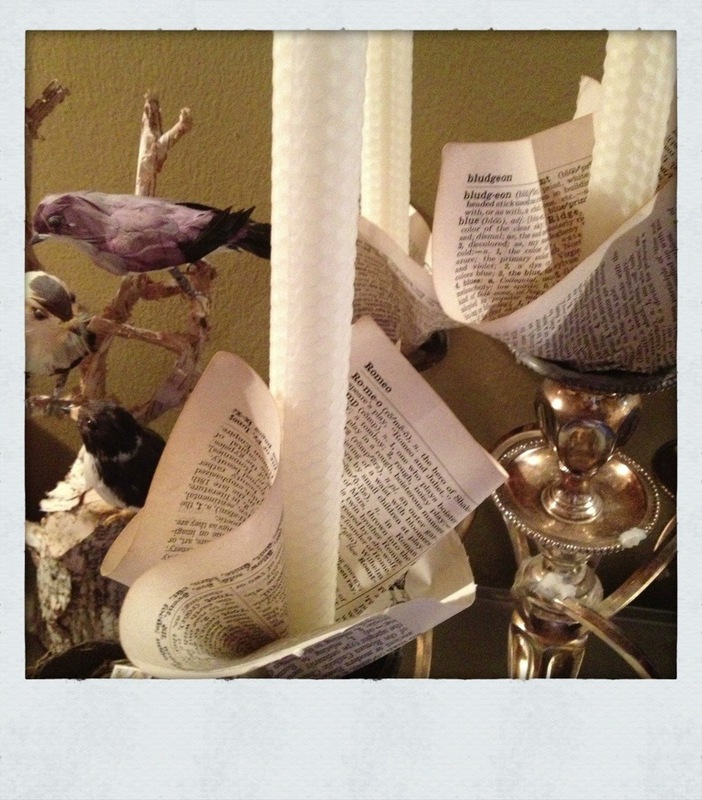 That is when I stared using vintage book pages to add a bit of visual interest as a bobèche. Plus I love that word. Kind of rolls off of the tongue. The paper creating a version in place of a glass collar. 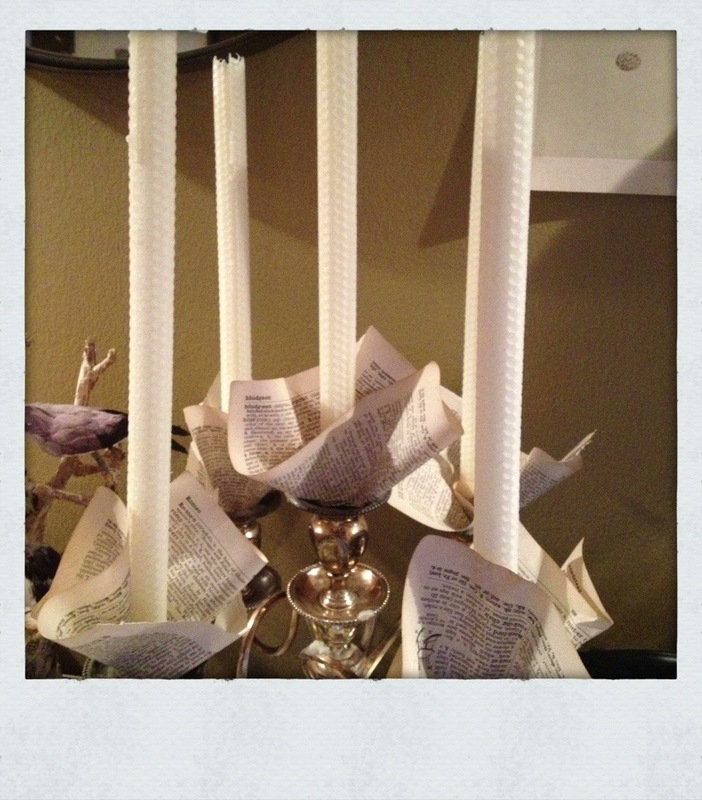 I think they look swell even when the candles are not lit. A word of caution. Like all candles, they should never be left unattended. 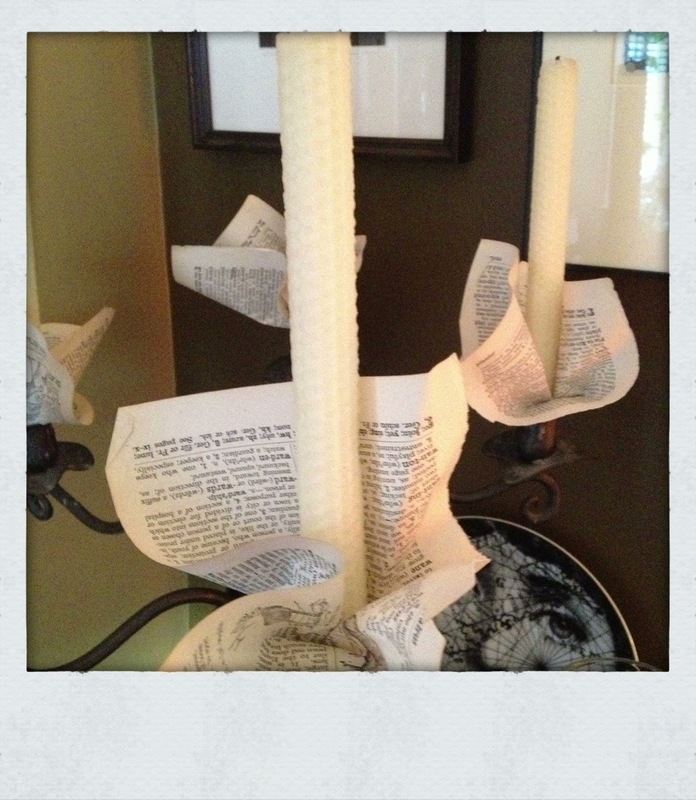 I always try and use really tall beeswax candles so by the end of the dinner the flames is still nowhere near the paper. Beauty with an eye towards safety. I just really like seeing the words & images on the pages and using something that would potentially be discarded and bringing it back to life. “You should carry Kinfolk, it would be perfect here” is what I have been told more than a handful of times. 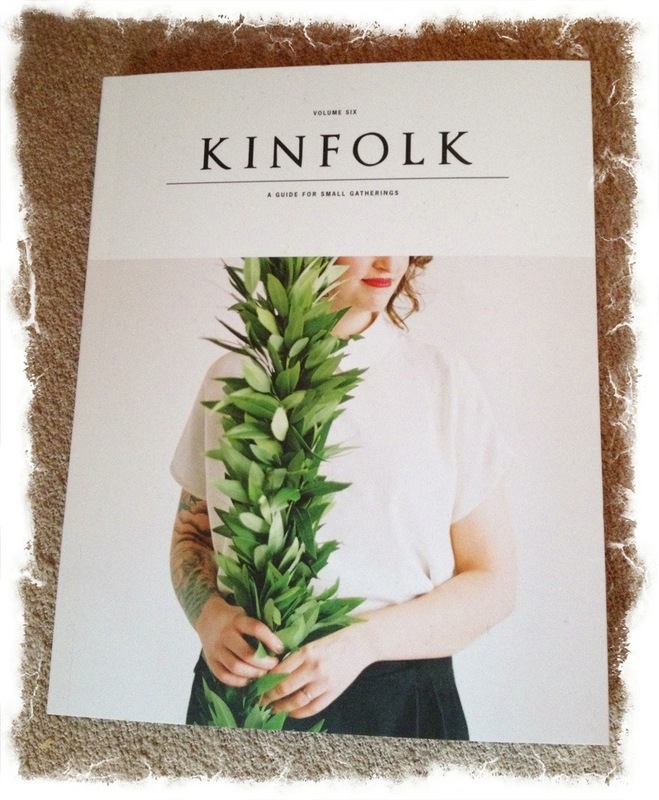 I am happy to report, our order of Kinfolk magazines arrived safe & sound the other day. It really is such a special publication. ‘A Guide For Small Gatherings’ is the tag line. For those of you not familiar with it, here is what is written on the back inside cover which I think sums it up perfectly. In a nutshell, part of my life philosophy, so I think Kinfolk is going to fit right in at Watson Kennedy. Cheers to small gatherings! 1-A surprising and welcome event that is not explicable by natural or scientific laws and is considered to be divine. 2-A highly improbable or extraordinary event, development, or accomplishment. A quote/thought that jumped out at me for no particular reason when I was sorting through my stack of quotes the other day, but that I quite liked. A customer asked me the other day about starting a collection of something and how to begin doing it. My advice was to choose something they love and then start from there. Also that what they choose does not need to be grand in the least. Or it could be. Whatever brings them delight when they look at the grouping. 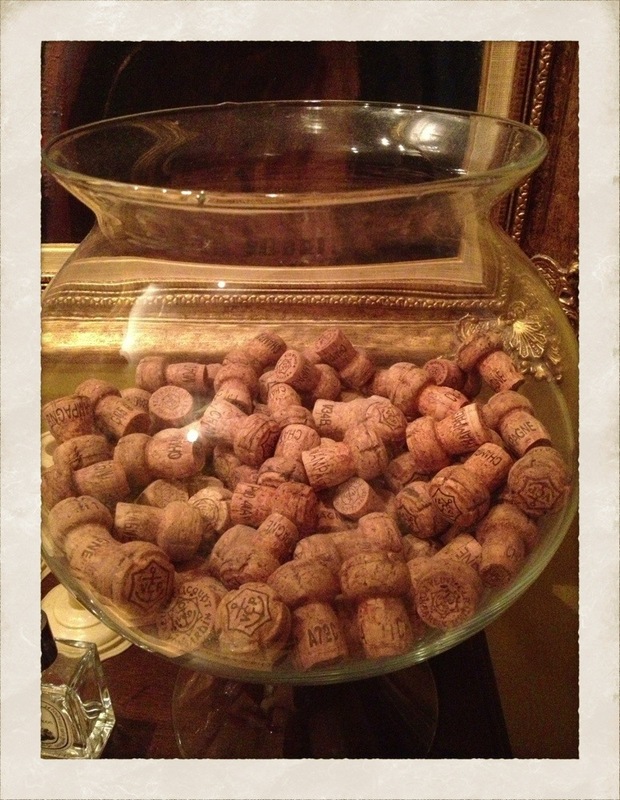 I mentioned the champagne cork collection that began when I started collecting the corks from bottles of Veuve we enjoyed. I knew seeing the champagne corks each day would be a reminder of the joyous times when we popped open a bottle. Super easy collection to begin–from something you enjoy, like favorite shells from beach walks or concert ticket stubs. Put them in a glass bowl and let the collection begin.